If you’ve found your way to this page, then you’re probably one of the millions of Americans that wishes their smile could look just a little bit better. Perhaps you have a broken or decayed tooth that you’re finally ready to get fixed, or maybe you just want to get rid of the gaps in your smile. You might even want to get your teeth straightened, and you’re hoping that we have a way to do it that doesn’t involve metal braces (we do!). 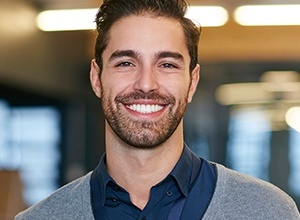 We understand the tremendous effect that a beautiful, confident smile can have on a person’s life, and at Meriden Dental Group, we can make sure that you’ll always feel great when it’s time to show off your teeth. Below, you’ll find our array of services that can help give you the smile you’ve always wanted. Traditional orthodontic braces as we know them today have been around since the early 1800s. The brackets and wires do an excellent job of realigning the teeth, but if you’re concerned about the way you look with a mouthful of metal, then they may not be the best option. Fortunately, there is now Invisalign, a discreet orthodontic system that works as well as traditional braces and often in less time. 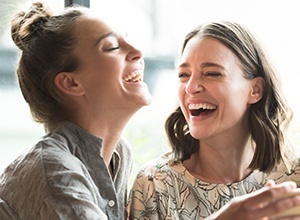 With Invisalign, patients will simply wear clear mouth trays for the majority of the day, removing them only for meals and when it’s time to brush and floss. For decades, fillings were made of an amalgam of metals including copper, tin, silver and mercury. These fillings did the job of repairing a cavity, but they inevitably left a dark spot in your smile. Now, however, your cosmetic dentist in Meriden can offer you a more attractive choice. Tooth-colored fillings are made of a composite resin that is precisely matched to the color of your tooth. Furthermore, these types of fillings bond to the remaining tooth structure, thereby creating a stronger tooth than was possible with amalgam fillings. Want people to think you’ve dropped a few pounds and a few years? Simple, just get professional teeth whitening. Seriously. Studies show that people with white teeth are thought to be much younger than their actual ages. 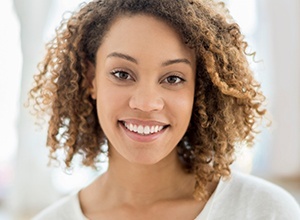 At Meriden Dental Group, we offer both the in-office and take-home systems of Kör Bleaching. Kör works deep within your teeth to lift stubborn stains. Our staff will be glad to recommend the treatment that’s right for your schedule and your budget. If you have a tooth that has been chipped, cracked, decayed, or even broken, we can easily fix it using a dental crown. This is a simple tooth-shaped restoration that slides on top of your damaged tooth, and it can restore both its look and structure at the same time. Crowns have been used for generations to help strengthen weakened teeth, and we can do the exact same for you with just a couple of easy appointments. If you have a tooth that is broken or one that cleaves because of a deep crack, a dental crown can restore appearance and function. 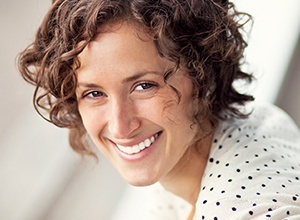 At Meriden Dental Group, our dentists prefer all ceramic crowns for their attractive appearance and strength. Your crown will be custom crafted in a dental lab using a precise mold so you can be sure the look and fit will be perfect.